Although the image of a mountain-rescue dog reviving people in the snow endures, the future’s first responder will not be a furry friend, but a carbon fiber one. 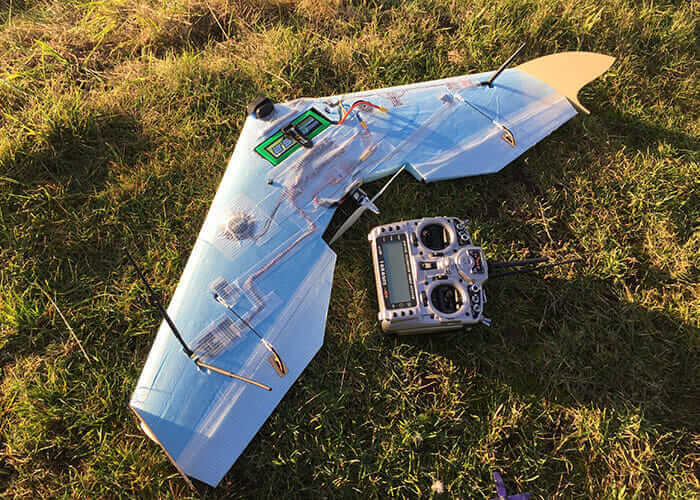 A student team at the prestigious University of Warwick School of Engineering in Coventry, England, has designed an unmanned aerial vehicle (UAV) with the ability to deliver immediate aid and equipment to people in trouble, before a rescue team arrives. Wanting to put a humanitarian face on drones, seven fourth-year students from different engineering disciplines worked in a real-world product-development environment as part of an industry- and government-backed program, called Horizon (AM), which aims to leverage additive-manufacturing techniques in aerospace innovation. Ed Barlow (far left) works with other student engineers on the UAV design. Courtesy University of Warwick. 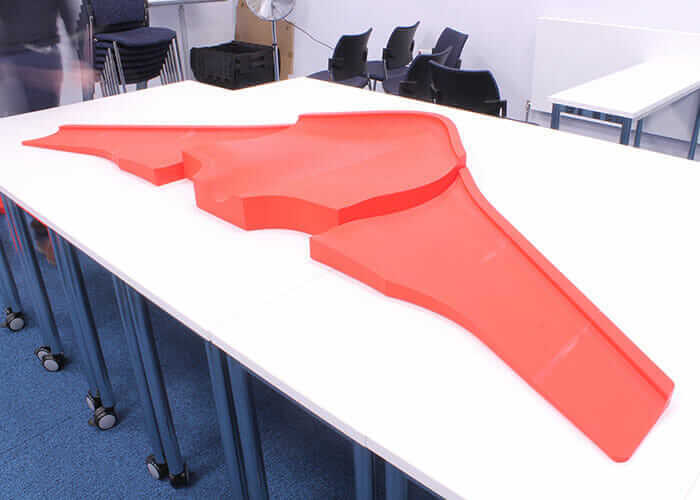 The project’s design lead, Ed Barlow (who has since graduated), knew he had a large-format 3D printer at his disposal. And that meant the team could design and manufacture something different than existing UAVs for aid and supply drops, such as the drones US startup Zipline uses to deliver blood and plasma to Rwandan hospitals. 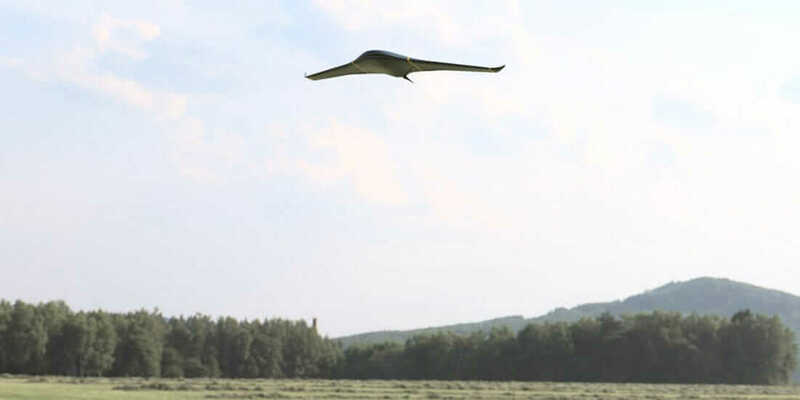 An early UAV prototype. Courtesy University of Warwick. That prototype crashed because it was too heavy to fly at a speed low enough for the team to track it in the sky—it would need a larger wingspan to generate more lift. The design now has a 2.2-meter (7.2-foot) wingspan, multiple imaging cameras, and an antenna tracking system at the base station to maintain contact. It also features two control systems designed in Autodesk EAGLE: a traditional manual transmitter for takeoff and landing and an autopilot system controlled by modified open-source software. A prototype of the UAV’s controller. Courtesy University of Warwick. Warwick Associate Professor of Engineering Simon Leigh, who specializes in additive manufacturing, guided Barlow’s team during the project. He knew they would 3D-print reusable molds of the UAV body parts and then use them to resin-infuse strong-yet-light carbon fiber to create the finished product. Leigh says it took about one month of continuous 3D printing to finish the molds. After that, infusing the carbon fiber proved a challenge, as well. Barlow couldn’t elaborate on those inventions due to the terms with industry partner GKN Aerospace, which may commercialize some of them down the line. To exercise that kind of innovative thinking while working with an expert company was a great experience and opportunity for the students, Leigh says. And they continue to employ creative thinking toward making parts of the UAV multifunctional to maximize its weight. The 3D-printed mold for the UAV’s carbon-fiber body. Courtesy University of Warwick. For example, the UAV’s main function will be to search for casualties on a mountain, land next to them by parachute, and deliver supplies. But the parachutes could be made of emergency space blankets for the people to use, and other equipment could also be built into the aircraft. Customized software could even tailor the payload for the needs of each emergency. “It would suggest the load out you would need and how to balance it to get the right center of gravity,” Leigh says. 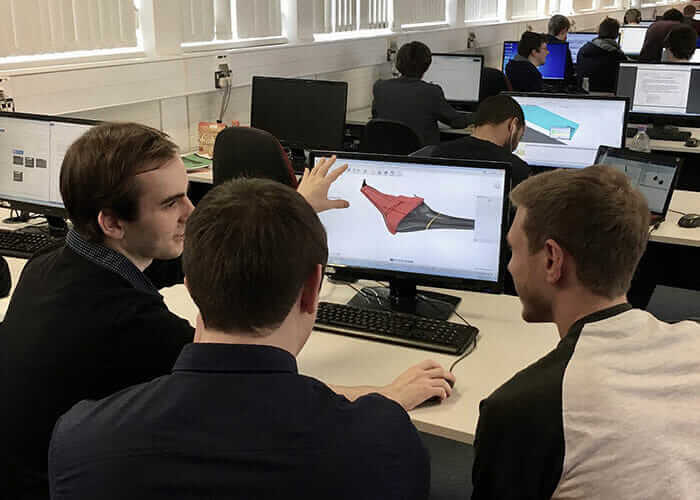 “So we cataloged the supplies we want to put in it and worked out where they might sit in the airframe.” The group has also explored using Autodesk Netfabb additive-manufacturing software to optimize aspects of the UAV design to be 3D-print friendly and reduce weight. Barlow’s goal for the UAV was a carrying capacity of about 5 kilograms (11 pounds) and an 80-kilometer (49.7-mile) range, but that’s much farther than current UK regulations allow for this type of drone. The many layers of regulation applied to UAVs from the UK’s Civil Aviation Authority (CAA) and the wireless communications regulations from Ofcom are “bit of a minefield to navigate,” Leigh says. So in a roundabout way, the ability to airdrop earbuds, SD cards, and Echo Dots to the British public in 15 minutes could also help save lives.